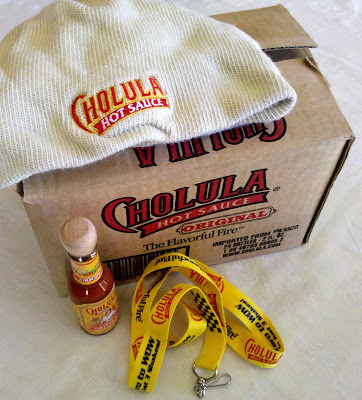 At a garage sale Saturday, I stumbled on a case of 19 individual 2 oz bottles of Cholula hot sauce, brand new, unopened and fresh as a daisy. 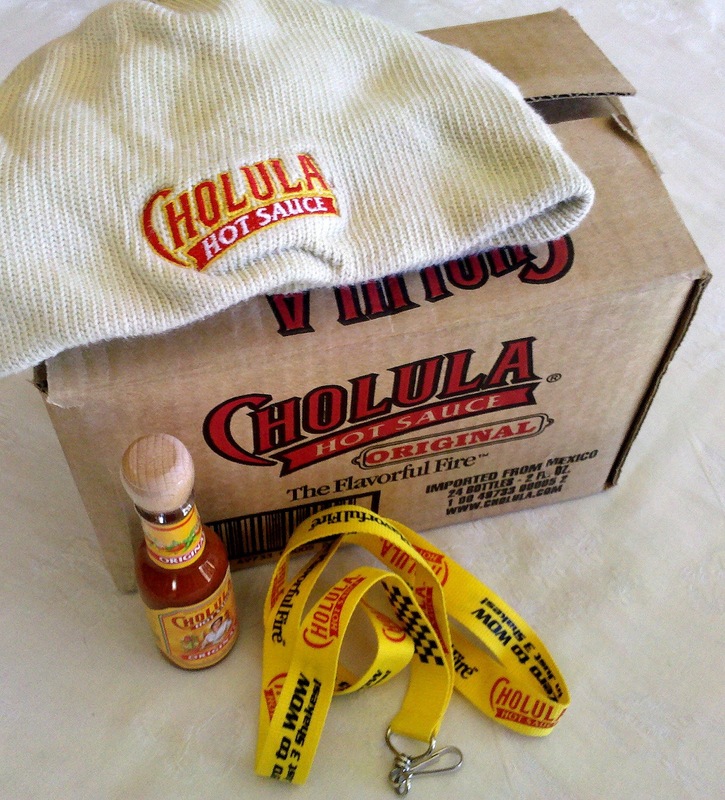 Inside were bonuses: A Cholula knit cap and Cholula lanyard. Anyone who knows me knows I drink this stuff. Best garage sale deal of the day at $5.00 for the entire lot.